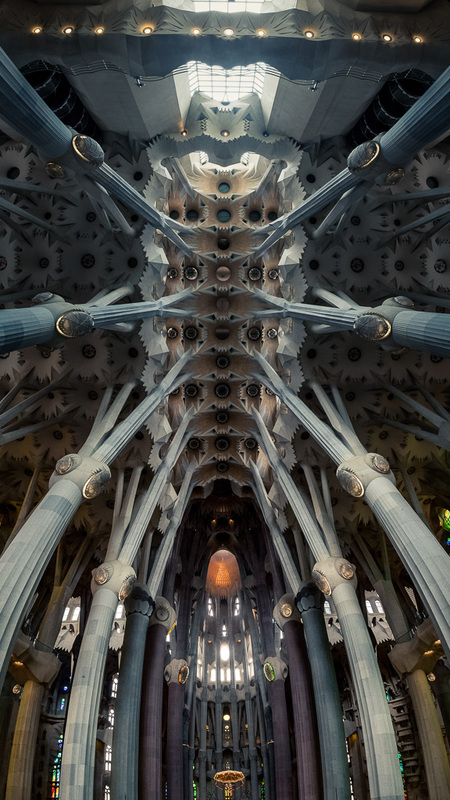 An everyday life's Odyssey » Sagrada Familia ceiling. Sagrada Familia ceiling. Walking around the building, I couldn’t stop staring at the impressive ceiling. The golden triangle in the Neva represents the holy trinity. Even if I’m not a believer, I was truly impressed by this basilica.